When installing timber decking at your property, it is important to know how to keep it in the best condition possible to save you time, money and unsightly decking in the future. Whether new or existing timber, in good or bad condition, these tips will help you get your decking back to its original state, letting it look smart and sightly. There are various products and methods that can be successfully used to keep your timber decking in great condition throughout the year, so here are some ideas for what you can do to improve the look of your timber and maintain its look year-round. cleaned and restored in order to maintain its sightly, smart appearance at your property. In order to clean your timber decking, and restore it to its original colour, you should wet the wood through and apply a cleaning product to it. Then, use a clean brush such as a sweeping broom to work the mixture into the wood, repeating this process on particularly dirty or stained wood. After this, leave the wood for 10 minutes, before brushing the surface off and, half an hour later, thoroughly hosing the wood down. Before treating wood, it is important to decipher whether or not it has been previously treated by former owners at your property. By performing a simple test on the wood, whereby you place some water drops on the surface and see whether they are absorbed or not, you can find out whether your timber decking already has some sort of treatment on it; if water is absorbed, it is clear there is no treatment, but if the drop stays on the surface, it is evident that there is a previous coating of sorts on the timber. In order to remove previous treatments and coatings, use a powerful stripper cleaner, but take extra care and use protective gloves and clothing, as well as neutralising wood after using the stripper while the wood is still wet. 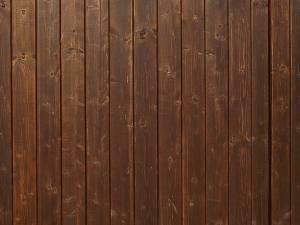 After neutralisation, hose down or power-wash the wood to take it back to its original state, prior to treatments. Once any existing treatments or coatings have been removed, and the wood is clean and fully restored to its original colour, it should be left for a few days before any other work is done on it. After waiting for 3 or more days, use a clear or ready-tinted oil that soaks deeply into the wood to condition it. This should be done in two coats, one straight after the other with around half an hour’s gap in between, to ensure the protection provided by the oil is effective for as long as possible. Here at Hitchcock and King, we know what a difference smart, well-presented timber decking can make to your property’s overall appearance. This is why we provide a variety of useful goods and handy tips to keep your timber decking looking smart and sightly year-round, at prices you can afford. For more information on any of our products or services, get in touch with our friendly team of timber merchants today – we’re happy to help with any enquiry.